Feel just like a Renaissance noble or a well-to-do adventurer when you gather your gear in the Tasseled Renaissance Pouch. This medieval drawstring bag is made of royal velvet with gold cording and tassels lend finery to its form. Sized for items like coins, keys, wallets, and phones, this medieval velvet bag is brimming with lavish detail. 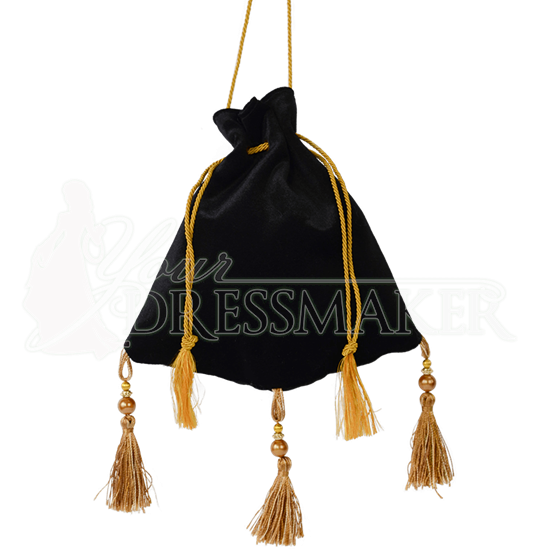 The three tassels at the bottom have bead accents, and its gold drawstring also ends in tassels. Choose from a variety of colors for the velvet outer of this drawstring pouch. Inside, this tasseled coin bag is lined with smooth satin. The satin lining color will vary from pouch to pouch. A long, gold cord attached at the top makes it easy to carry this velvet pouch over the shoulder or crossbody. 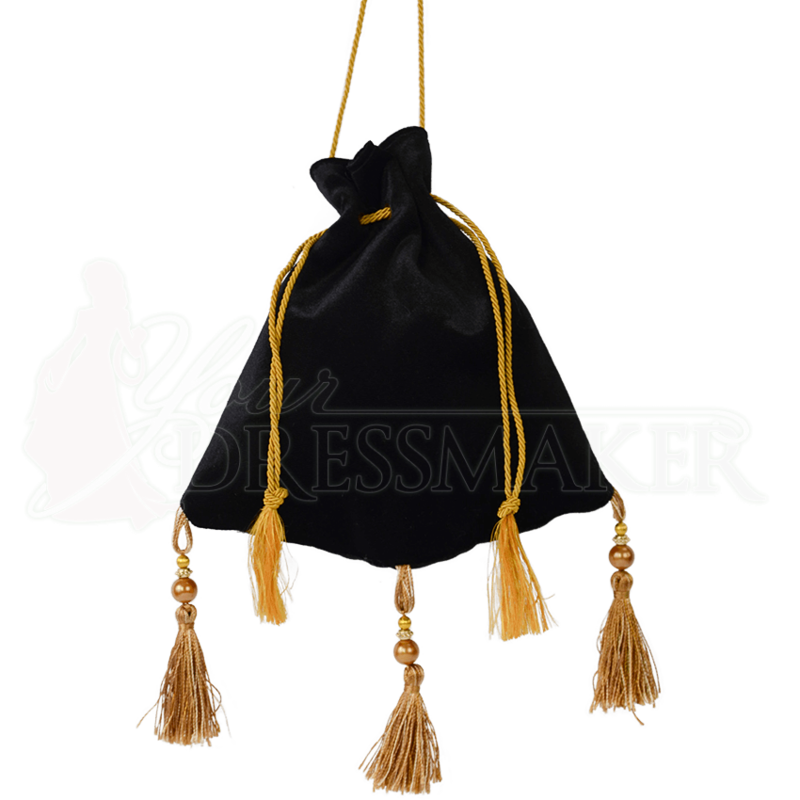 Add a touch of luxury to your historical or fantasy outfit with this royal velvet drawstring pouch.